When the Fall season rolls around, it not only brings a changing of the leaves but a changing of the TV lineup. I am so excited about the new shows slated for 2017-2018. Here are 4 of my top must-see picks. Enjoy! This new comedy is based on Feuerstein’s (who plays Josh Roberts) real life experience living in a New York apartment right next door to his parents. And the apartment on the other side of him houses his brother, sister-in-law, and their baby. The close proximity of his overbearing family members wreaks havoc on Josh’s newly divorced status. Josh’s parents, doting mother Judy and over-the-top Harry, are played by seasoned comedy vets Lavin and Gould. Brother Andrew and sister-in-law Eve are wildly successful and never let the struggling actor forget it. Employees of the building and other residents laughingly commiserate with Josh about his daily life. If you are a fan of Everybody Loves Raymond, this is a must-see. 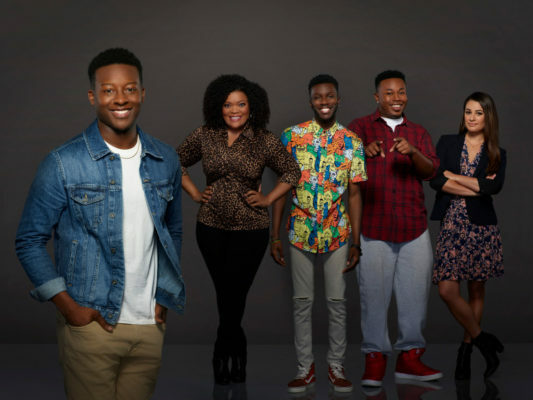 Courtney Rose (played by newcomer Hall), a young rapper, decides to run for mayor of his California inner city area to boost his music career. His publicity stunt shocks everyone–including him–when he wins the election! Wait…this job is for four years? His mother, played by the hilarious Brown of Community fame, helps Courtney take on his new leading role. Along with political consultant Valentina played by Glee’s Lea Michele and his charismatic friends from the neighborhood. This new comedy is inspired by the lives of Chance the Rapper and “Hamilton”‘s Daveed Diggs. Pretty Little Liars’ Hale is Stella, a young woman diagnosed with terminal cancer. After eight years, her doctor tells her that she is cancer free. No, she has to deal with life head on after spending every day like it were her last. She has married a guy she barely knows and her family has walked on eggshells around her for years. Stella begins to realize how much her diagnosis affected not just her but everyone around her. Walsh (Nip/Tuck) and Vigman (The Hangover movies) portray her parents. You all have secrets you’ve been hiding from me for the last eight years? The CW delivers a dramedy that will make you laugh, cry, and get inspired. As a cancer survivor, this show hits home and the trailer gave me chills. Yes, they are coming baaack! Even if you weren’t a fan when the hit show ruled NBC for eight years, you can jump on the bandwagon now. Best friends Will (McCormack) and Grace (Messing) are sure to dish out more laughs along with their wild cohorts Karen (Mullally) and Jack (Hayes). I’m told that the premise will remain the same and straight decorator Grace will be living with her gay ex-lover Will again in their Manhattan apartment. The cast and producers are being tight-lipped about the upcoming episodes. Originally slated for a limited revival of episodes, the show was recently renewed for a second season although the first one hasn’t aired yet! The cast and producers are being tight-lipped about the upcoming episodes. Longtime fans like me are wondering how they will address the 2006 series finale which included flash forwards of friendship demise and senior citizen status. I was sad to see the cancellation of Messing’s NBC comedy, The Mysteries of Laura, so this more than makes up for it. Also, be sure to check out the scoop on these 4 awesome shows returning for the Fall 2017 season. Which new TV shows are you looking forward to? Are you a Will & Grace fan? Thank you very much for the heads up on the new TV shows. Really saves me going through a mountain of info. I can not wait for some of my favorite shows to come on back to me! Always so much to watch for. Thank goodness for DVR and On Demand.